Yes, this is exactly what you think it is. 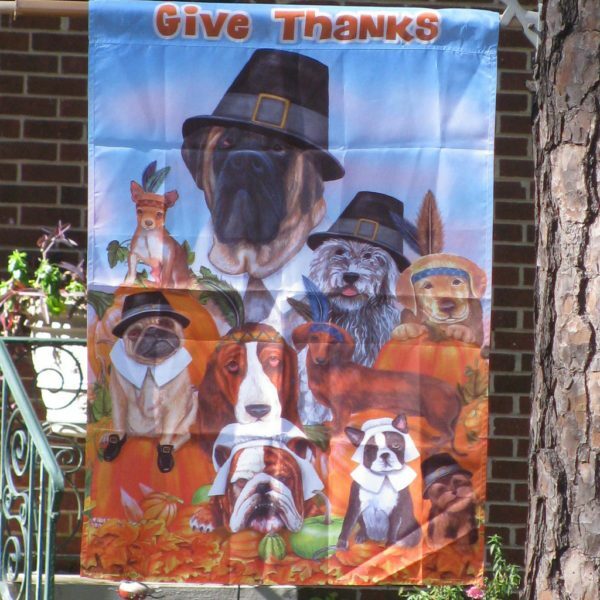 A Thanksgiving feast, celebrated by dog pilgrims and dog Native Americans. And some squash. 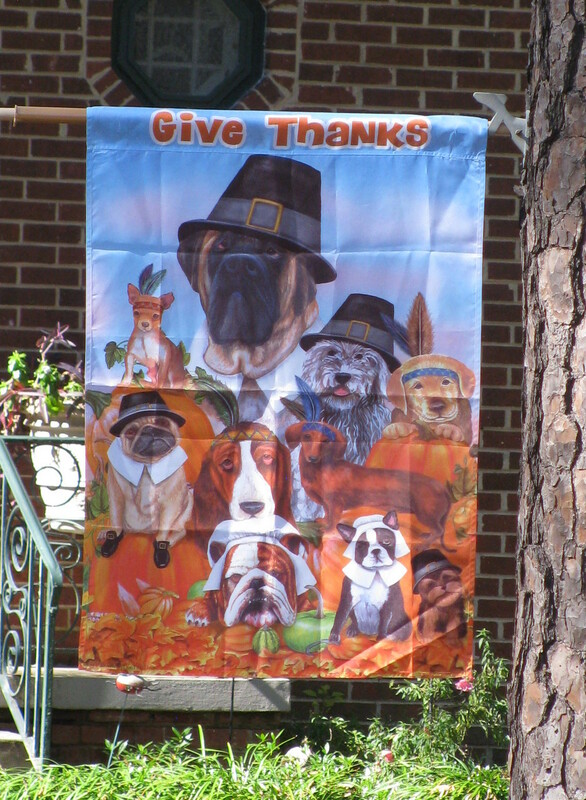 Happy Thanksgiving from my neighborhood to yours!